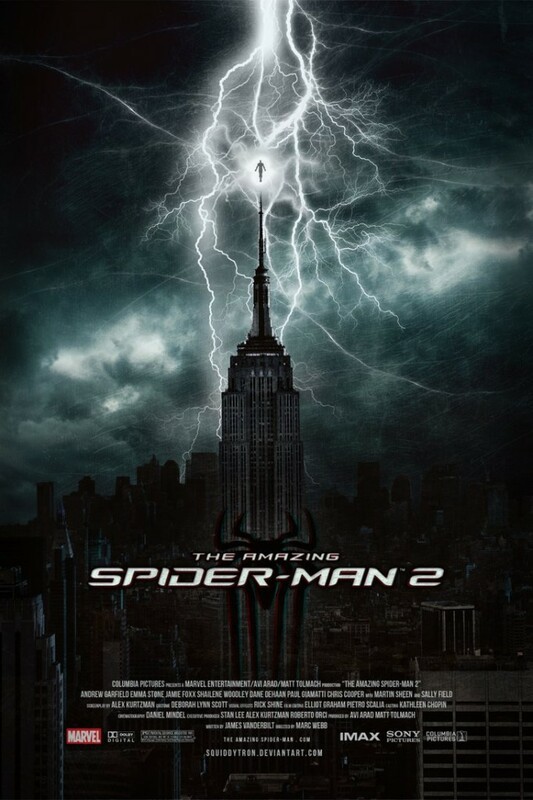 The Amazing Spider-Man 2 was released on May 2, 2014 in theaters. It is now on DVD and Blu-ray. This is the second film in Sony/Columbia’s second Spider-Man cinematic franchise. The movie is directed by Marc Webb, and stars Andrew Garfield, Emma Stone, Jamie Foxx, Dane DeHaan, Sally Field, and Paul Giamatti. Spider-Man is the character that broke the mold when it came to comic book superheroes. A teen with his own real world problems, he was the antithesis of every hero that had come before, and quickly became the most popular hero in the Marvel Comics Bullpen. Over half a century since his debut, Stan Lee and Steve Ditko’s creation is as popular as ever, having appeared in countless comic book series, video games, animated series, and in the past decade or so, feature films. Spidey is that rare character whose popularity has never diminished. A Spider-Man film was in development hell for well over a decade; at one point James Cameron was planning on creating one that never came to fruition. Eventually, Sony/Columbia got the rights to the franchise and created a trilogy of films, directed by Sam Raimi. Raimi’s trilogy was a critical and commercial success, but ultimately the powers that be decided to reboot the franchise. 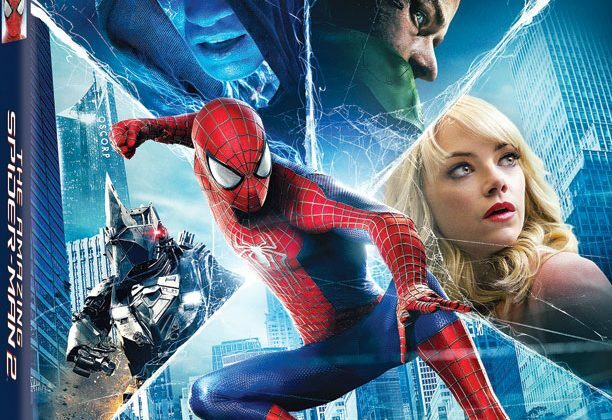 The Amazing Spider-Man, the first film in the new franchise, was released in 2012. 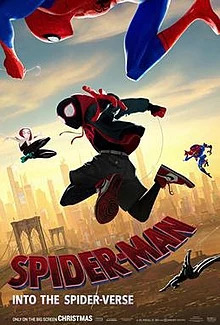 Sony/Columbia drew some criticism from rebooting the franchise fairly soon after the last one (it has been speculated this was done to keep the movie rights to the character), but ultimately this Spidey fan found the film to be quite enjoyable despite a few minor issues here and there. Two years later, we arrive at the sequel. 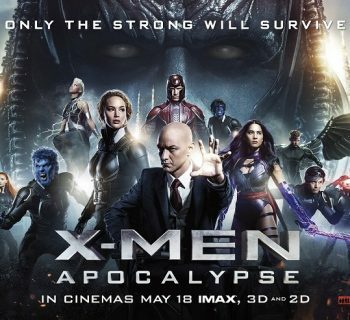 Is the sequel that effort that outclasses the original, or are there too many flaws weighing it down? On a side note, I feel it necessary to point out (for those that do not know) that Marvel Comics properties are, in many cases, owned by different studios. This is why you don’t see Spidey showing up in an Avengers movie or anything like that. Spider-Man is owned by Sony/Columbia, X-Men and Fantastic Four are owned by 20th Century Fox, and the core Avengers universe (Iron Man, Thor, Captain America, etc.) are owned by Disney (formerly Paramount.) This fan is hoping the franchises are unified in the near future under one studio umbrella. It is worth mentioning that Marvel’s chief rival in the comic book and cinematic worlds, DC Comics, does not have this problem, as Warner Bros. owns DC. The Amazing Spider-Man 2 is the second installment in Sony/Columbia’s new Spider-Man franchise. By now, Peter Parker (Andrew Garfield) is more comfortable in the role of Spider-Man, having recently graduated high school. He finds himself conflicted and torn in the relationship with his girlfriend Gwen Stacy (Emma Stone), due to a promise he made to her late father. Things get a lot more complicated for our hero when Max Dillon (Jamie Foxx), an Oscorp engineer, is radically changed following an electrical accident, turning him into a new threat. As if things were not challenging enough for our hero, an old friend, Harry Osborn (Dane DeHaan) comes back into Peter’s life, dealing with his own personal battle. All of this culminates in Spidey’s biggest battle yet, with some of the most powerful villains that he has ever faced. This is a movie I went into with high expectations. After all, just two years prior, the first film in this rebooted Spidey series, directed by the aptly-named Marc Webb, actually stood as a solid entry, one that had this fan all the more eager for the sequel. Andrew Garfield still delivers in the title role; his performance is far and above the best thing in this movie. Unfortunately, the rest of the movie collapses on itself. There is far too much going on here, and the end result is overlong, underplotted, and a massive disappointment. Anyone who remembers the Sam Raimi Spider-Man movies knows that Spider-Man 3 was the black sheep of that franchise, because it tried to cram too much content into one movie, and the end result was massively flawed because of this. The Amazing Spider-Man 2 makes this exact same mistake. Seriously, people. Have we learned nothing? The first two Raimi films were great because they had one supervillain per movie, both of whom were fleshed out and gave excellent performances. Here was have multiple villains in one movie again. As we are forced to jump back and forth between individual storylines, the movie suffers in the pacing department. Truth be told, the actors here are doing their job just fine. It is poor writing and the fact that some of the characters feel like afterthoughts that weigh the movie down. Unfortunately, it is difficult to go into details here without offering spoilers. The movie additionally suffers from too many subplots. A plot about Peter’s parents (who left him with Aunt May and Uncle Ben in the first movie) is built up at the very beginning of the movie with a suspenseful action sequence, but we have to wait through a good chunk of the movie for the resolving moment. And even then, what we end up getting to conclude this storyline only ends up detracting from the “core” story of the film (a deleted scene on the home video elaborates upon the “Peter’s parents” subplot somewhat, however). There is the occasional good dramatic moment, but very few of them carry the weight that they should. Even the film’s big dramatic tragic moment (one you can smell coming a mile away if you’re even remotely familiar with the Spider-Man mythos) does not have the resulting pay off that the filmmakers likely intended for it to have. With so many subplots throughout, we do not get the proper focus on any of the characters, and they end up underdeveloped. In essence, in this aspect, the film falls into many of the same pratfalls as Sam Raimi’s Spider-Man 3. The other major complaint is that the filmmakers seemed more interested in setting up a larger Spidey universe here than focusing solely on this movie and making it a coherent standalone product. Since Spider-Man will not be joining the Avengers anytime soon due to the rights to those characters being owned by another studio, the crew apparently wants to build a larger, unified cinematic universe for everyone’s favorite web head. The problem is that they spend too many moments in the film building up these subsequent sequels and spin-offs. 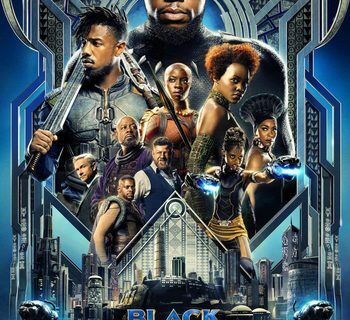 They are planting the seeds for future movies left and right, so much so that they end up distracting from the core story that this movie has; one that was flawed enough to begin with. The Marvel Cinematic Universe (Hulk, Captain America, Iron Man, Thor, etc.) worked because the filmmakers built it up with multiple standalone films that were great products in their own right that very subtly and gradually built up towards something larger. Here the filmmakers seem intent on doing this in one movie. The end result here only made me feel one way – I so desperately want Disney to get the rights back to Spidey (and the other characters not yet under that umbrella) so we can get a unified Marvel world on screen done the right away. The Amazing Spider-Man 2 is a disappointment because it repeats the mistakes of the final installment in Sam Raimi’s Spider-Man Trilogy, and the result is something of an even lower quality. Andrew Garfield’s performance as our Friendly Neighborhood Spider-Man is the only real saving grace here, along with some decent performances from the cast and the occasional fulfilling moment. But expect to sit through a lot of unfulfilling dramatic moments and characters that do not get the attention that they deserve. Ultimately, the movie, while so eagerly awaited by this fan, just comes off as failed and wasted opportunity. Say what you will about the film, though, the Blu-ray Disc of The Amazing Spider-Man 2 delivers in the audio and video departments. The picture is clear and well detailed throughout the film, with the colors extremely vibrant and eye catching. The audio track is no slouch either; all dialogue is crystal clear, and the sound effects will definitely give your speaker system a workout for which it has long been overdue. Furthermore, the filmmakers did not skimp on the special features either. 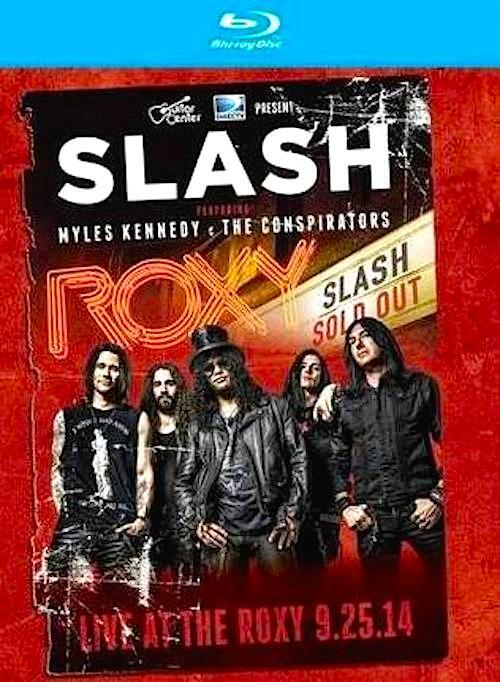 The most impressive feature on here is a multi-part documentary on the making of the movie, which fans will love. There are also roughly 25 minutes worth of deleted scenes, though aside from a longer one I will not spoil here, most of these are disposable and were rightfully cut from the final product. Featurettes on the musical score and a feature-length commentary track appear as well, along with an Alicia Keys music video. My hat goes off to Sony for putting together an impressive supplement package, unlike a number of recent home video releases out there that contain next to nothing, with the studios ultimately “double dipping” the consumer. Fans will love what extras have been included here. In the end, do I recommend this Blu-ray release of The Amazing Spider-Man 2? Viewing the movie again on home video did not change my opinion of when I saw it in the theater earlier this year, but this Spidey fan also knows there are a lot of moviegoers out there who totally ate it up. At the end of the day it boils down to whether or not you were a fan of the film. If you did enjoy it, the Blu-ray transfer and special features are going to impress. If you were not, it is not likely that revising the film will change your mind. Put simply, buy it if you are a fan. Here is hoping the next installment in this Spider-Man series will be a more satisfying one.